The longer you put off getting tooth pain checked out by a dentist, the more it may cost you in the long run. Read on to learn about five of the main reasons that toothache occurs, and why it is so important to get these types of issues taken care of as quickly as possible. Thanks for visiting Shoreline Endodontics of Groton, CT. Dental care is very significant in ensuring the overall health of a person remains positive. Ignoring a toothache or bleeding gums can be suicidal in in its own ways. Neglecting them can make your teeth susceptible to cavities, plaques, infections of the gum and Temporomandibular Joint Dysfunction (acronym TMJ). You can very easily compromise on your oral health and make your teeth and gums hurt. Dental associations all over the world recommend brushing the teeth regularly, two times a day, with a fluoride gel to keep up healthy and pain free teeth and gums. When your tooth hurts, a cavity could be the villain associated. Cavities occur when there is a buildup of plaque on your teeth, resulting in tooth decay. Plaque is nothing but an association of saliva, bacterial formations and food particles, and this sticky substance clings to your teeth as you continue eating. Plaque also comprises of harmful acids that decalcify your tooth or we can say eat away the enamel and create small pores. 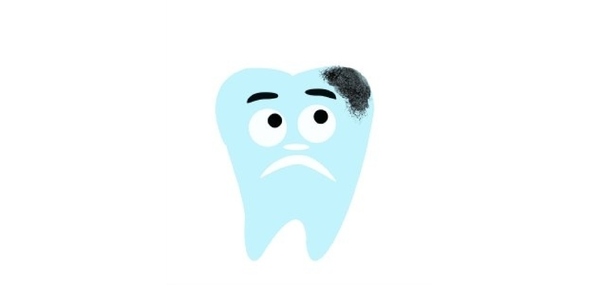 According to the professionals and academicians studying teeth, plaque deposits need to be removed from your teeth daily, if not, the cavities on them grow multifold and ultimately hurt you. Cavities if continue to remain untreated multiplies and can eventually reach and damage a tooth’s pulp. The central area of a tooth that comprises of soft tissues, nerves and blood vessels is called the pulp is. A tooth infection referred as an abscess develops when the bacteria in plaque reaches the pulp area. An abscess can cause very severe tooth pain. An untreated abscess may result in loss of the tooth. According to the Dental and Research organizations around the world, plaque deposits can affect your gums indirectly too. In case it is not done with daily, plaque gets harder into a substance called tartar. Tartar can irritate your gums resulting in a gum disease. Gingivitis is a type of gum disease that creates swelling, rather mild, redness and minor bleeding. Periodontitis is a serious form of gum infection than the former. If one happens to develop periodontitis, the gums may recede from the teeth and the bone and tissue supporting it may begin to decalcify. Patients suffering from severe periodontitis may experience pain, sensitivity and even tooth loss.